Di has been busy chairing a discussion on menopause at a major mental health conference in London which included an appearance by Prince William. This Can Happen witnessed the largest ever gathering of companies to discuss their employees mental health. Over 750 delegates from 120 companies shared solutions to everyday issues faced by their staff. HRH The Duke of Cambridge joined a panel discussion to share his personal experiences whilst working in the air ambulance service along with more than 60 speakers all offering their invaluable insight and knowledge to provide solutions for workplace mental health. Di took over one of the two main breakout rooms at the event to chair a discussion on menopause with between 60 and 70 delegates. 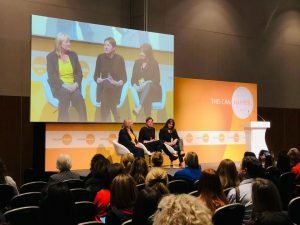 With her were Susan Gee, who is Head of Occupational Health at Yorkshire Water, and Katie Taylor, who runs the Latte Lounge, a ‘virtual coffee shop’ for women from all walks of life to share tips, recommendations, advice and experience whilst offering support and a sense of community. Susan Gee said a member of staff at Yorkshire Water asking questions about the menopause has led to a much higher level of awareness of the subject within the company, with it being regularly discussed on their intranet, by a peer support group, on video and currently the company is looking to train line managers on the subject. Katie Taylor set up the Latte Lounge after having to leave three well-paying jobs after the onset of menopause. She was prescribed anti-depressants by the GP but later recovered after a course of hormone replacement therapy and set up the group to help other women. 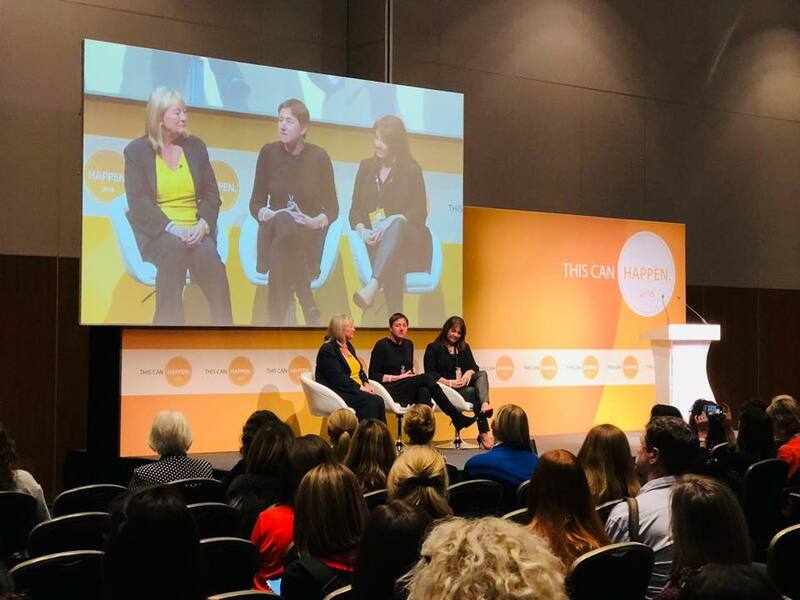 Di said afterwards: “This Can Happen” was the biggest conference on mental health in the workplace and was so successful they are planning another event next year. The response to my session was great, we had very good feedback, and a lot of people came up to talk to us afterwards”.